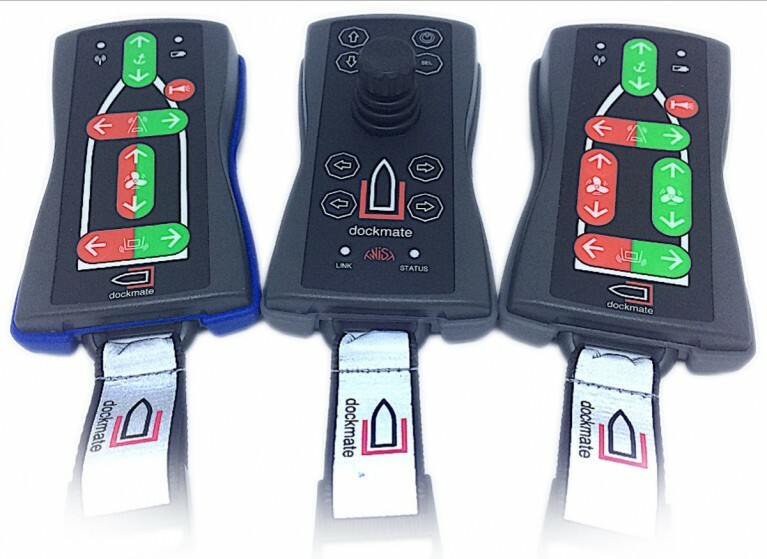 A truly intuitive system, Dockmate allows boaters to easily operate electronically controlled engines, bow and stern thrusters, anchor winches and horns from anywhere on board with a small handheld device. Available in four models: Single, Twin, Twist 3-axis joystick with proportional control, and Twist IPS for POD drives such as the Volvo IPS, the system features state-of-the-art “fail safe” technology and breakthrough advancements that increase product reliability as well as operating range without the need for additional hardware. Backed by an industry-leading three-year manufacturer’s warranty, a five-function Dockmate system (two engines, thruster, anchor and horn) has a retail price of $6,800. For more information please visit www.dockmate.us. Based in Fort Lauderdale, Florida, Dockmate manufactures the latest in advanced, yet very affordable wireless remote-control technology. Highly-reliable and intuitive, the Dockmate Single, Twin, Twist and Twist IPS systemsallow every skipper to dock a boat singlehanded, offering the ability to leave the helm and get a closer look at the surroundings in marinas and other tight quarters, while still in complete control of the boat’s movement.